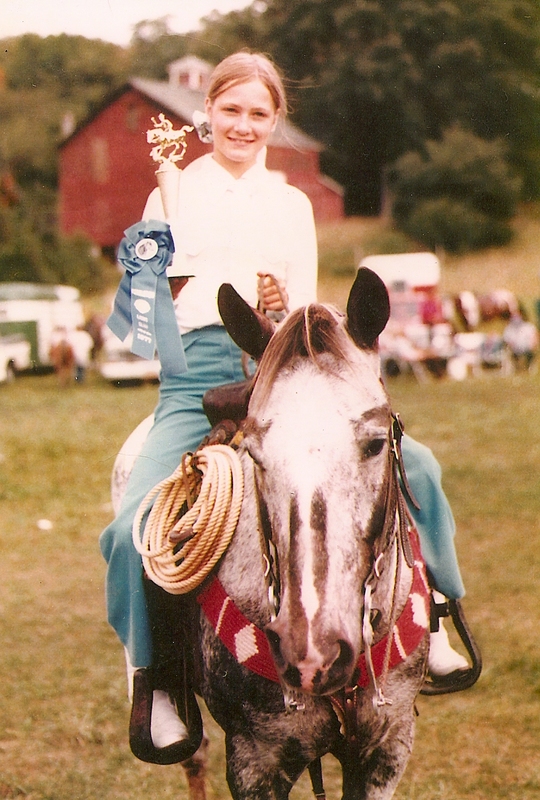 The pony that taught me to ride! 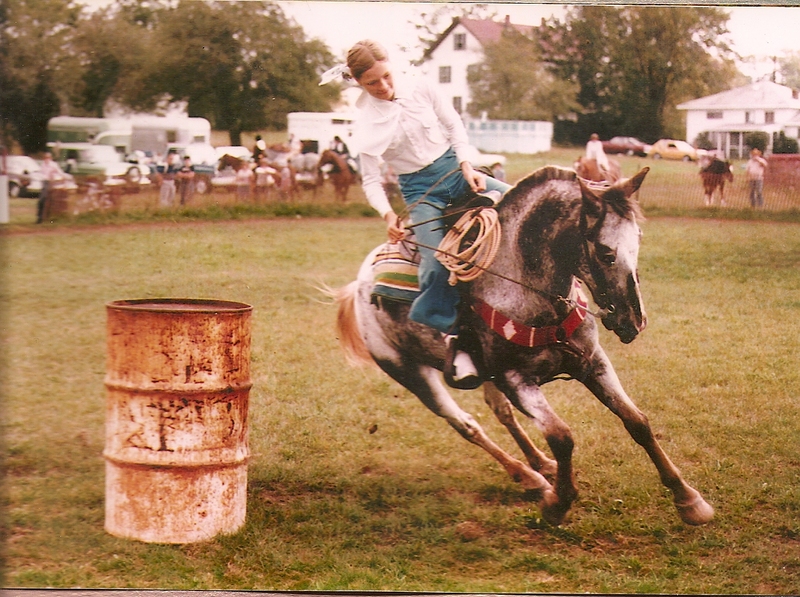 I thought I knew how to ride before I got him, but he would prove me wrong! What a fabulous riding partner he turned out to be. I was 9 yrs old when my parents bought him. He dumped me several times when I was trying him out. I hated him! They bought him anyway, lol. 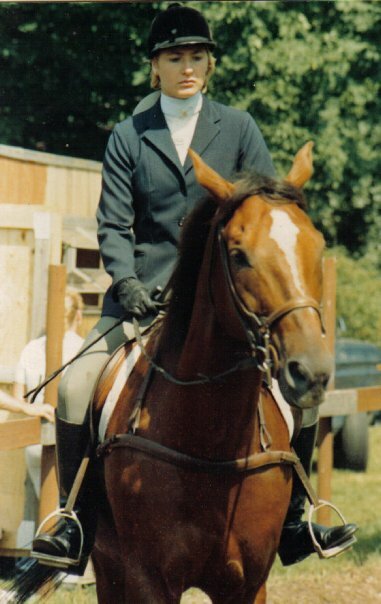 Turns out he was the best gymkhana pony ever to walk this earth, and could come out of a rip roaring pole bending course and head back into the ring and to win a western pleasure class, looped reins and the most awesome jog and lope ever! I miss this guy every day! Rocky: Rocky was my 13th birthday gift. An unspotted appy, he was a big chestnut colt, four months of age when I got him. 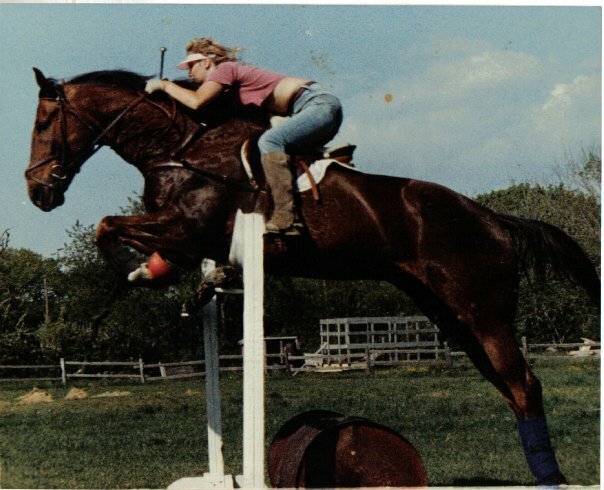 Turned out to be a fabulous horse, could jump 4' , loved cross country, not so much stadium, lol. But was the type of horse even the newest beginner could ride, and he would take care of them, even on a ride to the beach on a brisk afternoon. Miss You! 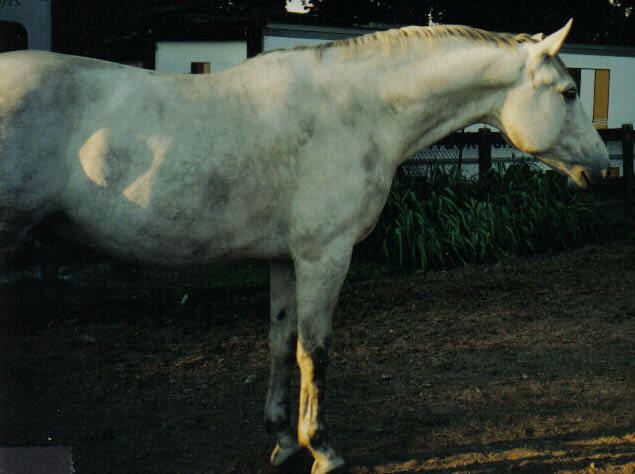 He was such a big part of my life for 21 years. 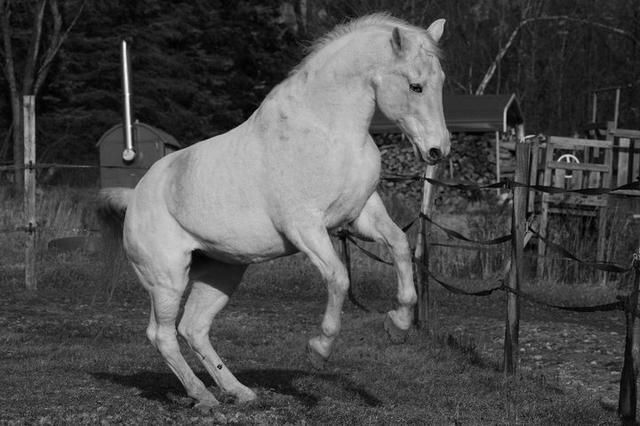 The biggest personality, big puppy dog dispositon, just a great horse to have the pleasure of knowing and part of the family. I remember my daughter and her friend grooming him in the field. His feet were too big for one to pick up, hold and pick, so one would hold up his foot and the other would pick it out. 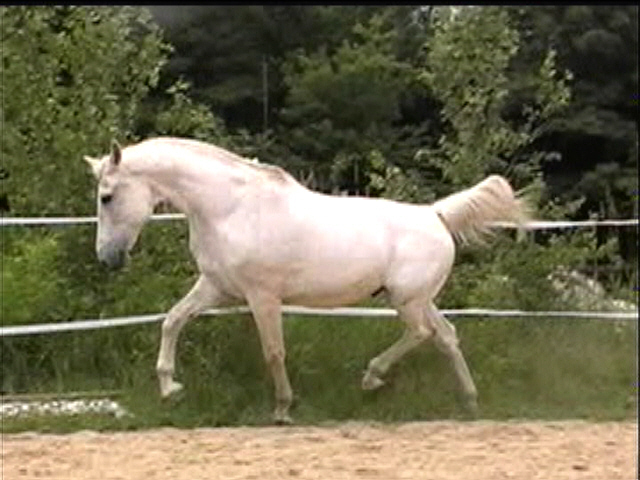 This, with no halter or lead rope, just Fritz standing there letting them do this. But...this same horse would torture the farrier. Refuse to pick up a foot, then would sit on him and make him hold him up if he wanted that foot so badly. It was a game with him. Before he was gelded, he was an escape artist. Several memories of his exploits as a youngster, lol. 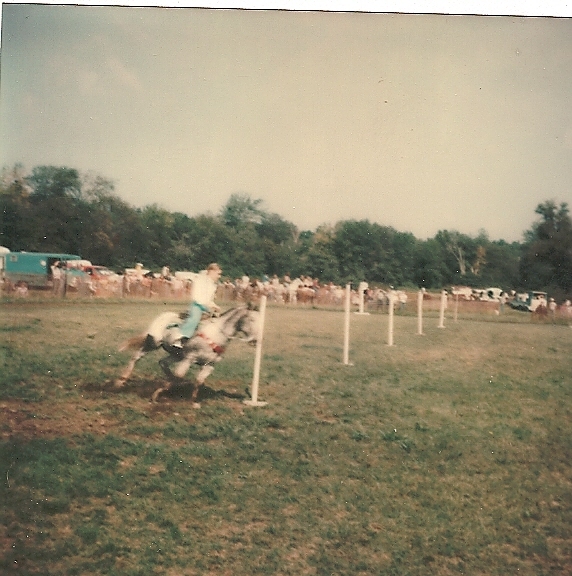 His paddock had split rail fencing, with an electric wire across the top rail. The battery to power it was outside the fence. I watched him reach, very careful not to touch the wire, over the fence, grab hold of the battery, and toss it aside. Then, now that the electric was off, he would remove the rails to the fence, sliding them out of the post holes, and go visiting the girls. Never did jump in with them or cause trouble, just went visiting. He learned to remove the bars from his stall door. Lift them up and out one at a time, you could hear them clinking on the cement barn floor if you were in another part of the barn (he would not do this if he knew you were nearby) then would reach out and unlach the door, slide it open and go for a run. Here at the farm, we were never sure when we went out in the morning if there would be a big white horse grazing on the lawn or not. Such a big personality leaves a huge empty spot in your heart when they leave! 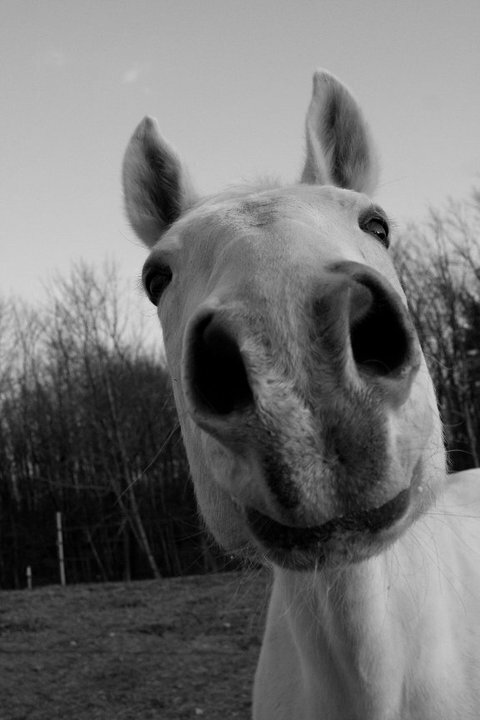 Rest in Peace my big guy, we all miss you terribly, run in greener pastures, pain free, til we see you again!